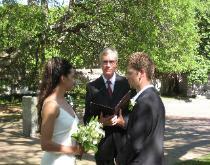 He converts their love for one another into the holy and sacred estate of marriage. It keeps no record of wrongs. greatest gift you have given all mankind. Amen. Please join hands and repeat after me. as we both shall live. loving and kind to each other. Beloved God, may they abide in your grace and forever be true to this union. words:_______ with this ring I thee wed. I pray that you do not expect of each other the perfection that belongs only to God. other's strengths, and see each other through a lover's kind and patient eyes. 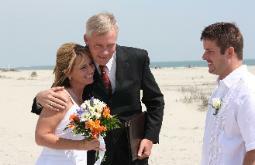 authority of the State of South Carolina, I now pronounce you to be husband and wife. You may kiss the bride. 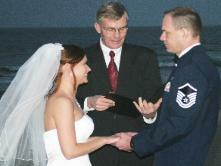 Your Vows, or promises to each other, are the focal point and the very heart of your wedding. other and believe in love. 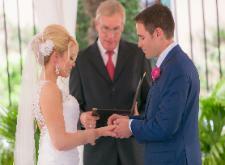 inter-denominational ceremonies which may help you personalize your vows. 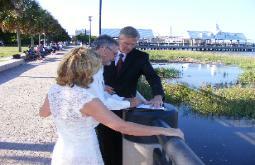 We require a deposit of one half the ceremony to reserve your date and time. the good of one another –always. spiritual. It is the sort of love one can imagine between angels." in promise and loyalty to one other. (I do) You may now place the ring on her finger. 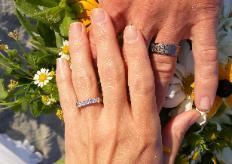 (I do) You may now place the ring on his finger. other’s strengths, and see each other through a lover’s kind and patient eyes. share with each other this gift of love. wife. You may kiss the bride. I present to you Mr. And Mrs. ___________.